Composite external doors, constructed from reinforced GRP, are one of the toughest, most secure and low maintenance external door options. 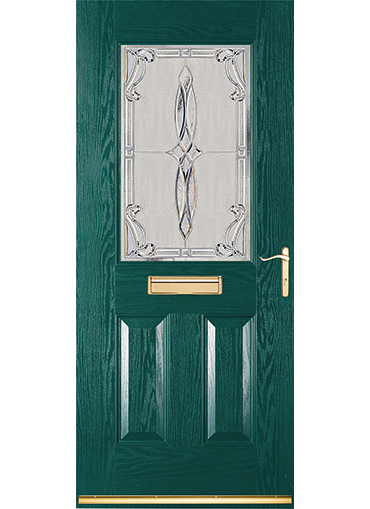 Supplied with a multi-point locking system as standard, they have a hard wearing GRP outer face with the appearance of a timber door. Behind that handsome front is a thermally efficient, energy saving core. 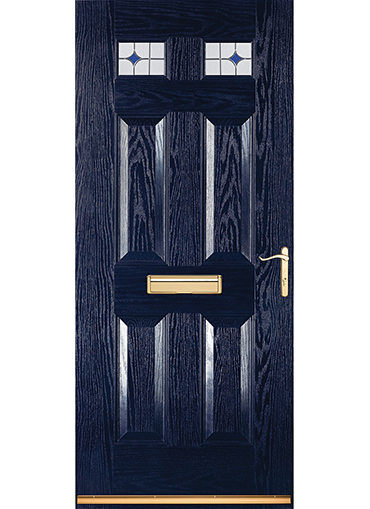 Composite doors from HomeServe Security are available in red, white, black, blue and green, in a choice of 4 designs, and supplied fully finished. 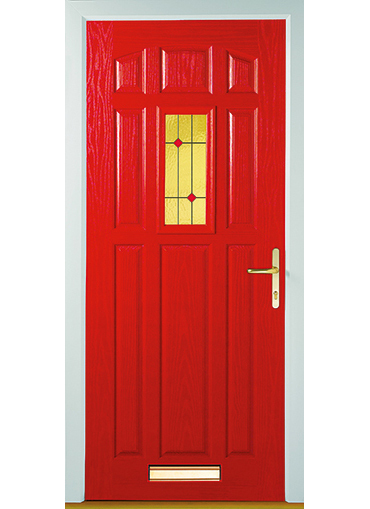 Below the two small glazed panels, this is a door that simply exudes solidity and security. 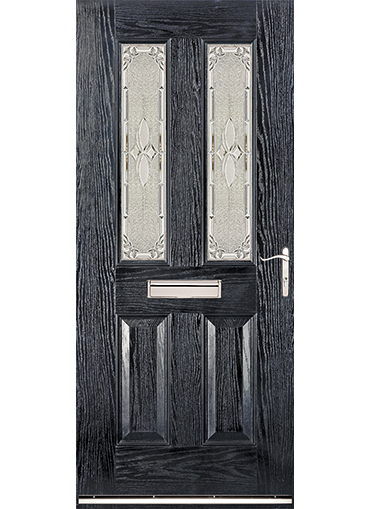 A beautiful decoratively glazed top panel gives this door true character and a touch of class. Classic light-enhancing door design with twin glazed panels above the letterplate. Elegant, ultra-solid styling with a small, centrally located glazed panel.